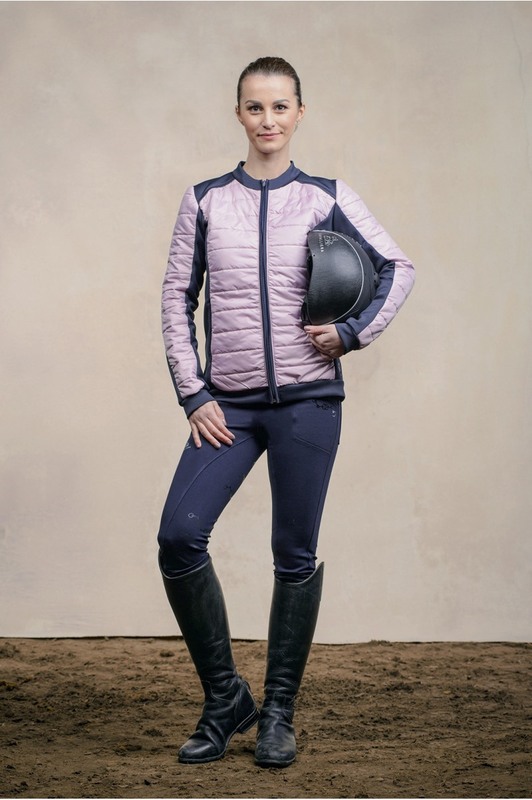 Made of the most luxurious pique softshell fabric in chic navy color combined with light rose waterproof horizontal quilted panels. Developed with lining panels where it is necessary, but this jacket is still extremely lightweight wear. This ultimate coat that suits to every occasion. 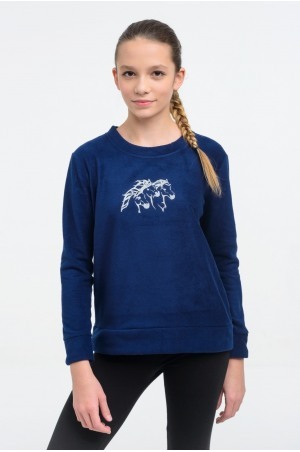 The best choice for any kind of body types because this model gives you a very nice shape, an elegant look designed to flatter the female form. 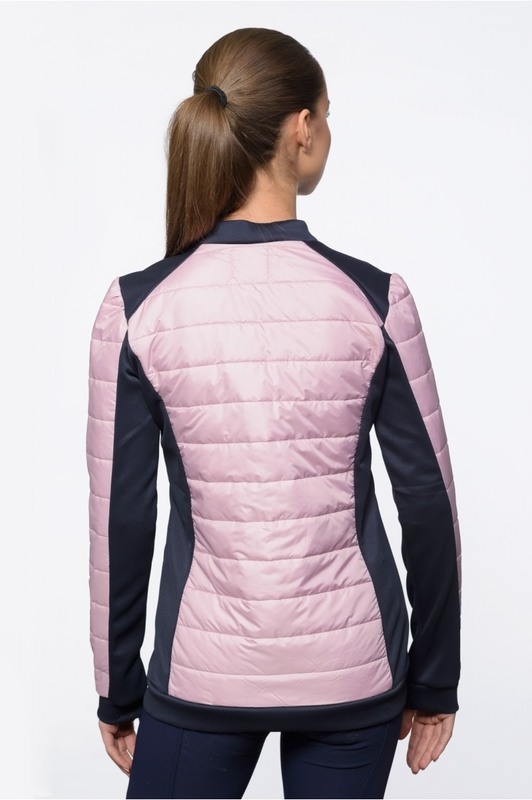 This casual coat is an exclusive product, which can be recognized not only for the advanced technology, but also for the colourful design and feminine shape. We are sure you agree it looks stunning. This water-resistant fabric is resistant to light/middle rain. Seams are not waterproofed. This coat is definitely held in the rain, but it tends to get soggy after sustained period in heavier rain.